Joining us today is Sherita Love, manager at EdHubSTL. Sherita holds bachelor’s degree in Education Studies with a minor in Non-Profit Management and African-American Studies from UMSL. She was a national trainer with the YMCA of the USA in Leadership and Diversity and Inclusion courses for professional staff. She’s led diversity and inclusion trainings for schools, organizations and corporations in the region. Sherita currently serves as the Founder and Executive Director of ExpandED ... See More Learning Collaborative where she works in collaboration with community partners to close the education opportunity gap, as the Co-Founder of GLAMM (Girls Lead and Make Moves) to promote education and empowerment for young women of color. - Sherita identifies as an “Education Catalyst”. What does that mean? - Where her passion for education began and where that journey proceeded from there. - How Sherita supports young women of color through education, entrepreneurship and empowerment. - Sherita's entrepreneurial focus and mission. - More about Education Equity Consultants. - How to define equity? 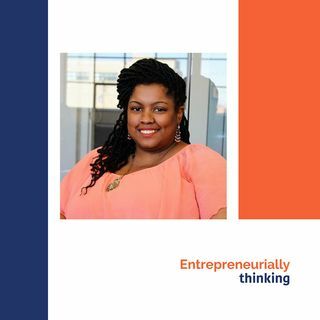 - Sherita's vision for equity in education, entrepreneurship and for young women of color. - How to engage conversations around Anti-Bias and Anti-Racism? - How to educate uninformed individuals. - More about Innovation Hall and EdHubSTL. - A deeper understanding of the entrenched educational challenges in our region.